Crystal Light Therapy uses the combination of crystals, guided imagery, and sound to focus light frequencies into the physical body. By raising the vibration of the human energy field, emotional energy blocks are released allowing one to experience the realm of unconditional love. This awareness expansion realization combined with massage creates a feeling of balance and harmony. By vibrating the crystals (creating a piezoelectrical effect), the chakra centers can be cleared, balanced and re-aligned with the universal healing energy of Divine Light. At the base of most disease there is an underlying root cause or thought that contributes to the imbalance that promotes “dis-ease” within the body. These imbalances can be from unresolved issues, thoughts, trauma or other depleting emotions. These imbalances get lodged in the layers of the aura of the person and create blockages that can eventually progress into a problem within the body, mind and one's spirit. The Crystal Light Therapy technique addresses these blockages and provides the means by which they can be released. Crystal Light Therapy treats the “whole” being of the person; the body, the mind and the spirit. Restoring balance on all levels enables a person to live life more harmoniously. The Crystal Light Therapy technique combines Crystals, Guided Meditation, Sound and Essential Oils with a “piezoelectric effect” massage. This vibrational therapy infuses the frequencies of Love and Light into the seven major Chakras of the Aura and the physical body. This unique combination provides the opportunity for one to release emotional blockages, increase energy and expand consciousness to a more Spiritual level. Crystal Light Therapy is a multifaceted practice that can be incorporated into other holistic therapies, a massage practice or use in the medical community. 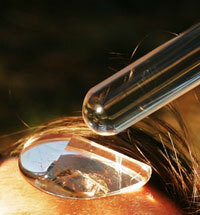 Crystal Light Therapy has been trademarked to be performed with intention-programmed crystal sets. Man has been using crystals to heal himself since ancient times. Egyptians ground lapis lazuli stone and made a poultice to use as a protection for their eyes. In the Bible, the breast plate was made with specific stones and was considered to represent powers of protection. Archeological sites around the world have uncovered quartz crystals in areas where indigenous peoples practiced healing and ceremony. Up to the beginning of the nineteenth century, gemstones were sometimes used as medicine against illnesses. The mere presence of the stone was sufficient to affect a cure. 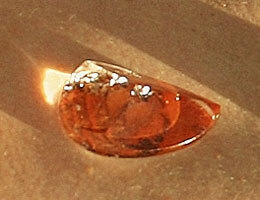 The gem was placed on the afflicted part of the body or the stone was ground and eaten. Even today, calcium tablets made out of powdered pearls are sold for medicinal purposes in Japan. In the second half of the 20th century crystals and science have worked together in the creation of crystal radio receivers, quartz crystal microphones, lasers for microscopic surgery, and in microchips for use in computers and watches. Crystal Light Therapy was introduced into the massage and holistic community in 2000 and is now being taught at massage schools in the United States, Canada, the UK, Ireland and Mexico. Some of the world’s best spas offer Crystal Light Therapy to their elite clientele.